The Mesquite, Texas, offices of Bailey & Galyen offer a full range of consumer law practices in the areas of criminal defense, immigration, bankruptcy, estate planning, Social Security, business law and more. We place special emphasis on our work in the areas of personal injury and family law. If you have been injured in a motor vehicle accident or are contemplating divorce, our attorneys are ready to serve you. Our motto is also our mission statement: "solving your legal puzzle.™"
We at Bailey & Galyen know personal injury. A number of our personal injury lawyers are certified by the Texas Board of Legal Specialization in that area. In Mesquite, we take many kinds of personal injury cases: accidents involving cars, trucks, and motorcycles; wrongful death, medical malpractice, defective products, pharmaceuticals that cause harm, birth injuries, animal bites, and nursing home injuries and neglect. We have won numerous multimillion-dollar personal injury awards. In one class action injury suit, our clients were awarded over $100 million in payouts. We address every family law issue at Bailey & Galyen: divorce, alimony, property division, prenuptial agreements, father's rights, paternity suits and family mediation. The heart of our family law practice is moving people through the pain of divorce. 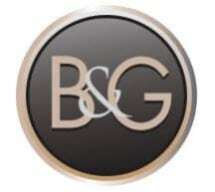 At Bailey & Galyen, we listen to your concerns, and we discuss the legal options open to you. Our priority as your counselor is always your rights, and we assertively defend them. Whether you need help with a divorce, or you seek justice for an injury you have sustained, call Bailey & Galyen. Put our team of lawyers on your side.